Kratom is now available in Wichita, KS at Detox Doctor! Detox Doctor is excited to introduce Wichita, Kansas to the wonderful world of Kratom! 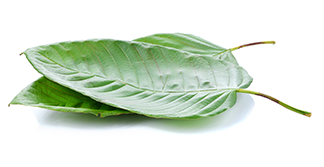 Kratom (Mitragyna Speciosa) is a tree found in parts of southeastern Asia that has a history of use that dates back centuries for it’s 100% natural stimulant and sedative effects. Over the last 10 years, Kratom use in the United States has skyrocketed due to individuals with unforgiving pain desperate for relief being fed-up with the pharmaceutical industry’s high prices and ultimately addictive drugs. Detox Doctor is thrilled to work with the industry’s most respectable suppliers to bring the highest quality Kratom to Wichita, Kansas. Detox Doctor is dedicating to offering the HIGHEST QUALITY kratom by Wichita’s most knowledgeable staff. Please read more information about Kratom and it’s AMAZING properties on our site to see if Kratom is an alternative for you or a loved one. Because we work directly with multiple kratom farms, our inventory and availability of specific strains of kratom changes from week to week.